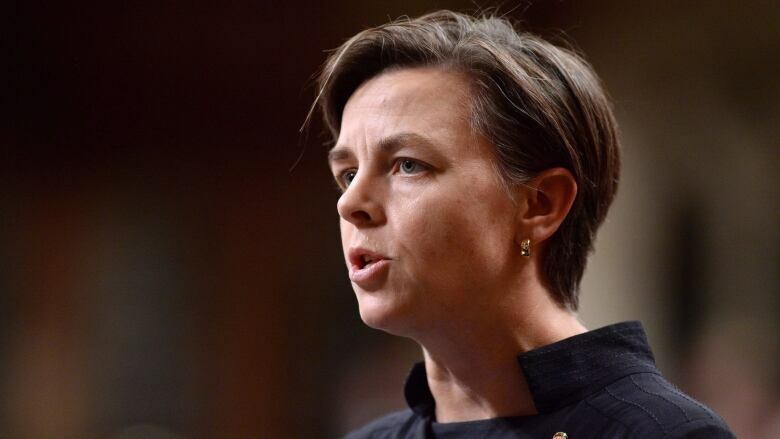 Ontario MP Kellie Leitch has raised more money than her rivals in the first months of the Conservative leadership race, just as her party raised more money than the Liberals. But Justin Trudeau's party is making inroads in the fundraising game as the Conservatives and NDP fall back. Chong, an MP from Ontario, raised more money than Bernier, while the Quebec MP raised his money from a larger number of donors: Chong raised $84,689.38 from 141 contributors, while Bernier raised $56,902.83 from 218 contributors. In total, the three leadership contestants raised $376,377.80. The Conservative Party has set the spending limit in the leadership race, which will end on May 27, 2017, at $5 million per candidate — so these candidates have a long way to go. Ontario MP Tony Clement and Alberta MP Deepak Obhrai joined the race in July. The data from Elections Canada also showed that the Conservatives raised more money than the other parties in the second quarter of 2016, taking in $5,097,828.07 from 37,223 contributors and in transfers from leadership contestants. That put them ahead of the Liberals, who raised $4,970,039.25 from 36,080 contributors and transfers from electoral district associations and candidates, and the New Democrats, who took in $1,083,314.29 from 15,906 contributors (the NDP reported no transfers). Including contributions and transfers, the Greens raised $661,374.09 from 8,809 contributors and the Bloc Québécois took in $129,970.79 from 1,254 contributors. The Liberals saw the biggest increase in fundraising since the first quarter of 2016. Their haul was up about $913,000, compared to drops of $282,000 for the NDP and $374,000 for the Conservatives. Against the mark of the second quarter of 2015, in the run-up to last year's federal election, the Liberals raised about $762,000 more, while the Conservatives dropped by $2.3 million and the New Democrats by $3.4 million. In fact, this past quarter was the worst for the NDP since September 2011. The Conservative total was its lowest since September 2014. This article was updated to clarify that the fundraising totals include transfers from electoral district associations, candidates, and leadership contestants.